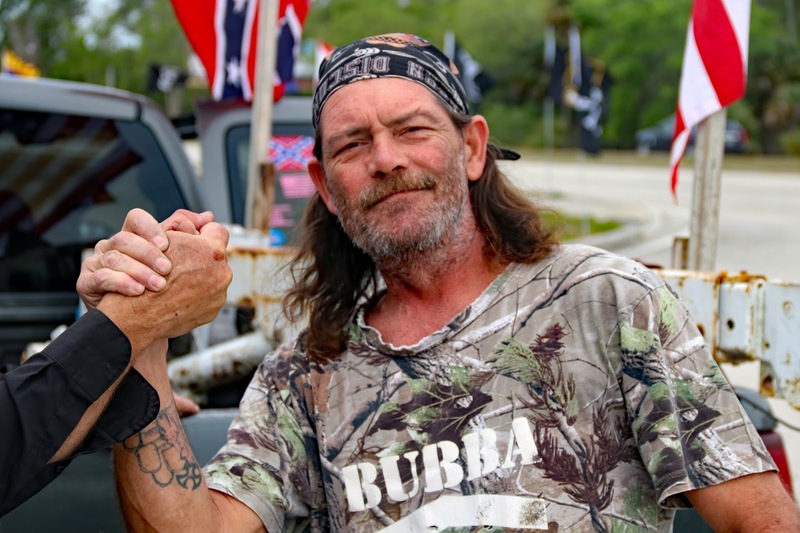 While I was talking with Ron about his flags, Randy stopped to buy a Confederate flag. Donna stayed in Randy's truck. Not the kind of folks you usually photograph but excellent portraits nevertheless. "Randy" in British slang means "over-sexed"; parents rarely use it as a name for their children. Randy has a very expressive face! Randy's seen a few years, so to speak. I'd a friend once whose nickname was Randy. I hated saying it!